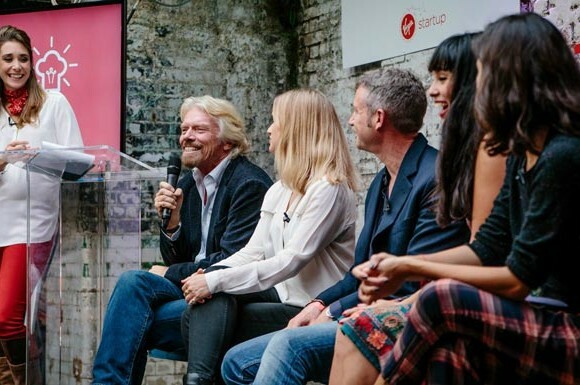 Want to pitch your food business to Richard Branson? Here’s your chance! Imagine pitching your food or drink business to Sir Richard Branson. Or getting the opportunity to roll your products out to over 2,000 Target stores across the US. This may sound like every foodie startup’s dream, but if you enter the Virgin StartUp Foodpreneur Festival, it could be closer to reality than you think. The Virgin Foodpreneur Festival was developed by Virgin StartUp, Sir Richard Branson’s not-for-profit company providing funding and support for entrepreneurs, and is designed to find the UK’s best up-and-coming food and beverage businesses. The project is also supported by Exporting is GREAT: the UK government’s ambitious new campaign, which aims to inspire 100,000 new businesses to export by 2020. The competition is open for entries now, and the deadline for submissions is Wednesday 16 September – so there’s no time to waste if you want to be in with a chance to win! If you’re selected as a finalist, you’ll be invited to an event in London on 2 October. In the morning you can attend a series of workshops by leading industry figures, and in the afternoon you’ll showcase your food business to a panel of foodie giants, led by Paul Lindley, Founder of Ella’s Kitchen, and Sir Richard Branson. The Street Food category is judged in collaboration with Urban Food Fest and Appear Here. One winner will receive a rent-free pop up for one week (Monday – Sunday) via Appear Here at Old Street Underground Station. One winner will receive a stall for three months (Saturdays only) at Urban Food Fest in Shoreditch rent-free. The Retail category is judged in in collaboration with Exporting is GREAT and Target Corporation. Four winners will get the opportunity to meet buyers at Target Corporation in the US, who are seeking up to four new products to trial in their American stores. The trial for any selected products would take place across 300 stores with the option, at Target’s discretion, for successful products to be rolled out to all 2,000 Target Corporation stores after six months. Even if you don’t win (or even enter) you can still take part in the Virgin StartUp Foodpreneur Festival. Book your place at the morning workshop on 2 October and you can hear some of the UK’s leading industry figures share their advice and experience on production, branding and routes to market. You can also attend the afternoon event, which promises to be packed with some of the biggest names in the UK foodscape, including influential foodies, bloggers, foodpreneurs, and – most importantly – some pretty tasty treats. Whether you attend as a finalist or book your place now, this promises to be a day to remember if you’re a foodpreneur – so make sure you’re part of it! You can enter the Virgin StartUp Foodpreneur Festival (and read the full T&Cs) here and book your ticket for the Foodpreneur workshop here. The Festival will take place on 2 October at The Vinyl Factory, 18 Marshall St, London W1F 7BE, with workshops starting at 9am followed by business showcasing at 12pm. What are you waiting for? If you run a UK food or drink business enter now for your chance to pitch to Sir Richard Branson!